Come with a friend! The most engaging recordings result from lively conversation. Arrival (5 minutes): Staff will meet you in the Lobby and take you to our sound booth for the recording. You will be asked to complete brief paperwork to document basic personal information such as name, address, and connection to CSUN. Interview (recording; 30 minutes): Your interview partner will start the discussion using questions you’ve selected beforehand (see reverse). If you come alone, the student attendant will conduct the interview. CD Creation (4 minutes): When the recording session is over, staff will burn a copy of the interview on CD for you to take home. Photos (6 minutes): The student attendant will take photos of you and your interview partner. Have so many CSUN stories you’re not sure where to start? Here are some questions to get the ball rolling. . .
Did you witness the groundbreaking ceremony for Los Angeles State College, San Fernando Valley Campus (now CSUN)? If you were among the founding faculty or staff families, why did you or your family member decide to come to the new university? 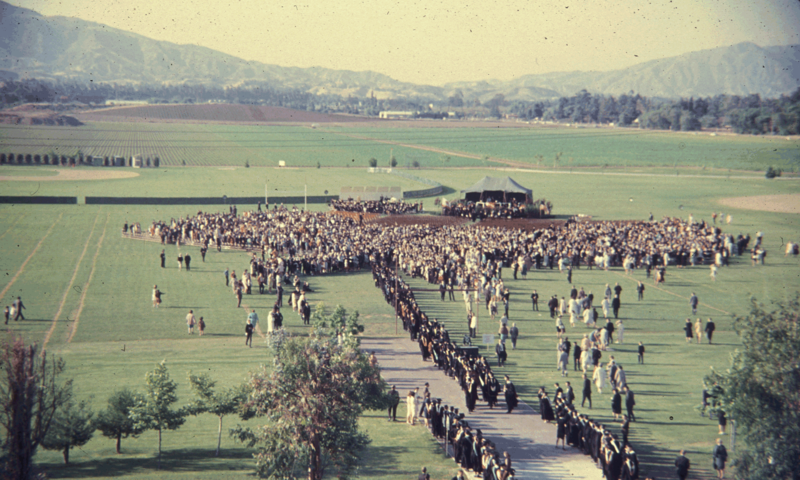 What impact has a local state university had on the San Fernando Valley community? What significant moment in your life happened at CSUN? How was the CSUN undergraduate experience different from what you expected? What CSUN instructor had the most profound impact on your education, and why? How did your CSUN experience influence your future career or life-path? What was your social life like your first year as a CSUN student? What is the most unusual thing that ever happened in your dorm? Are you a former CSUN athlete? Describe the most memorable CSUN athletic event you’ve ever participated in. What’s been the most rewarding aspect of your CSUN career? What’s the strangest thing you’ve ever seen on the job? What is the most memorable event you’ve attended at CSUN?